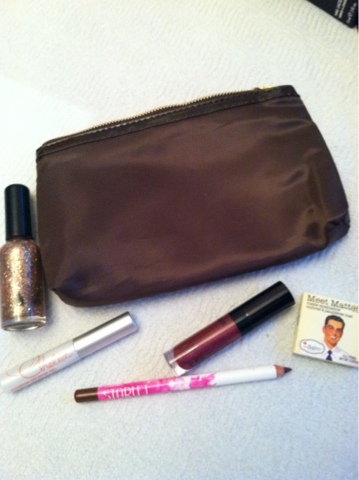 We are so excited by the contents of this month's MyGlam/ Ipsy bag! The bag itself is a nice chocolate brown, perfect for the Fall! .12 oz Chella eyebrow defining gel. This seems to be a sample size, but I could not find a size for prices online. Full size is $18.00. I cannot give this a value, as I cannot find the size of a full sized product. .05 Starlet Cosmetics eyeliner pencil. It appears to be a full size, but I cannot find a site that does not sell it as a pacakge deal with other products. Total value: $19.60 for JUST the products I could get a value for! That means that with the other two products, it is well over $20, PLUS a great bag! LOVE it! Ipsy can be purchased for a monthly fee of $10 a month!